Hancock Museum in Newcastle is one of the world's best animal museums with galleries displaying unique reptiles and insects. The museum has been around for more than hundred years and has been providing visitors with an insight into the animal kingdom. The Hancock Museum is home to creatures from the past to the present - from dinosaurs to live animals. It all began in 1780 when Marmaduke Tunstall started collecting ethnographic and natural history material from all over the world. His collections were maintained in a small museum and after his death, George Allan of Darlington purchased it. 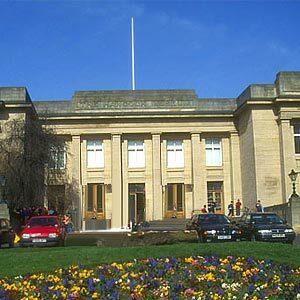 Later in 1793, the museum went in to the hands of the Literary and Philosophical Society of Newcastle. In 1829, the Society along with Natural History Society of Northumberland set up a new museum with the collections of George Allan. The Society also displayed its natural sciences collections in the new museum. With its collection constantly on the increase, the museum was moved to another location and reopened as the 'Newcastle Museum' on its present site in 1884. The museum was renamed after the northeastern naturalist John Hancock, who had been instrumetal in the campaign for setting up the new museum. Prominent among the collections of the museum are the freshwater and marine crustaceans collected by Professor George Brady and the carboniferous vertebrate fossils collected by Thomas Atthey and Albany Hancock. You can view some of these collections at the Earthworks gallery of the museum. In addition to these collections, the Museum also owns some important collections of early vertebrate material and ethnographic material, which is traceable to the voyages of Capt. James Cook. You can look at these collections at the World of Difference Display. The Hancock also possesses small collections of archaeological material, most importantly, Egyptology.